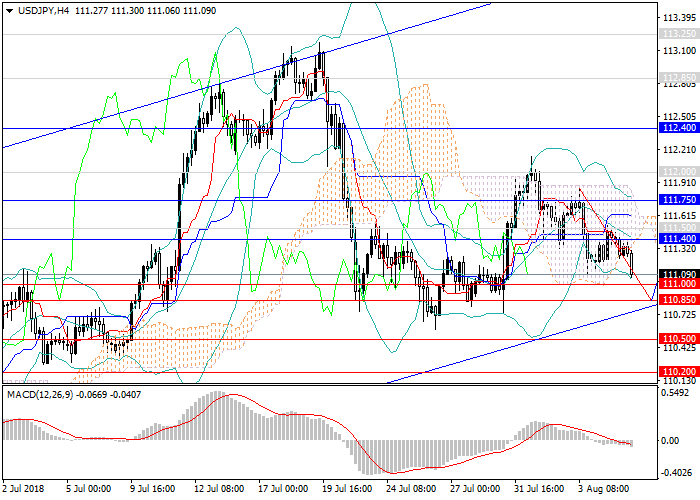 In late July and early August, JPY began to regain positions from USD. The main catalyst for the pair’s fall was the decrease in demand for USD due to the negative statistics on the labor market, construction sector and indices. The postponing of Fed’s interest rate rise affected the currency negatively, too. However, for the last two trading weeks, Japanese data on industrial production and the unemployment rate were poor, but this did not prevent the yen from strengthening against the dollar. At the beginning of this week, there is a lack of key releases, as major issues will be published at the end of the week. The traders are focused on the US labor market, inflation and major indices release, as well as on Japanese Q2 preliminary data on the growth rate of the economy. In the medium term, the pair stays within the long-term upward trend and tends to the lower limit of the current range at 111.00, 110.50. In the future, a reversal from the lower border and the formation of an upward wave to new local highs at 113.70, 114.00 are forecasted. An alternative scenario would be a volatility fall and a narrowing of the sideways channel, but long positions will remain relevant. Technical indicators confirm the growth forecast, MACD keeps high volumes of long positions, Bollinger bands are directed upwards. Resistance levels: 111.40, 111.50, 111.75, 112.00, 112.40, 112.85, 113.70, 114.00. Support levels: 111.00, 110.85, 110.50, 110.20, 109.50, 109.00. It is relevant to increase the volumes of long positions from the current level with the targets at 113.70, 114.00 and stop loss 110.60.